Greetings and salutations fellow True Believers, it’s that time once again when we gather to chart the course to Marvel’s massive Secret Wars, an event so monumental that neither the 616 or the Ultimate Universe will be left standing when all is said and done. 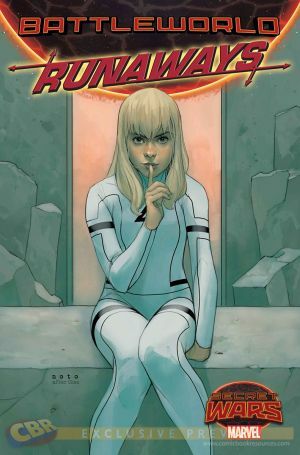 This week the masterminds at the House of Ideas announced several more status quo shattering tie-ins and mini-series that you are sure to want to know about; that’s what I am here for, B&B’s own Agent M, to report all the goings on that will ultimately make up the All New Marvel Universe. So, without further delay, let us dive in to this treasure trove of new titles spinning out of the Secret Wars event, each to be released under of one of the previously revealed three banners- Battleworld, War Zones and Last Days. These titles will ultimately dovetail together depending on when and where each takes place to give a clearer picture of Secret Wars as a whole. 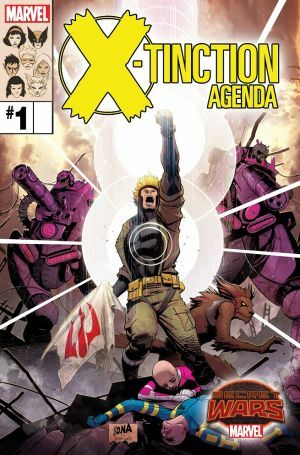 First up is the very recently announced X-Men related title, X-Tinction Agenda written by Marc Guggenheim, who is also busy working on the Arrow television series, with art by Carmine Di Giandomenico. Under the Warzones banner this late 80’s X-Men revival will hit the racks this summer in June. Guggenheim will be offering an alternate history spawned from the events of the original arc and beginning ten years later. Focusing on Havok and Wolfsbane, the series explores the rebuilding of Genosha as well as the emotional and physical tolls taken on these two X-Men as they lead the disenfranchised people of this island nation. Guggenheim told Comicbook.com,”When we pick up with them, its several years later and Havok’s definitely his own man, he’s not living under his brother’s shadow. He’s got a whole host of problems that are unique to him and unique to Genosha. It’s kind of nice; I always thought Havok was a really, really cool character and writing him is a real pleasure; I’ve never got a chance to write Havok before.” As if that weren’t enough on the writer’s plate, Guggenheim plans on taking a page from BMB’s All New X-Men and bringing in not the original five members from the very first issue but the team from Giant Size X-Men #1. This is sure to be an exciting story with big action and lots of complex twists and turns. 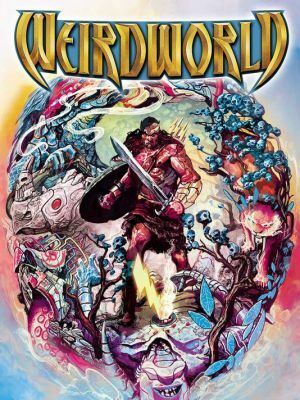 Jason Aaron and Mike Del Mundo pay tribute to the Dungeons and Dragons influenced fare of the 1970’s with their June release, Weirworld. 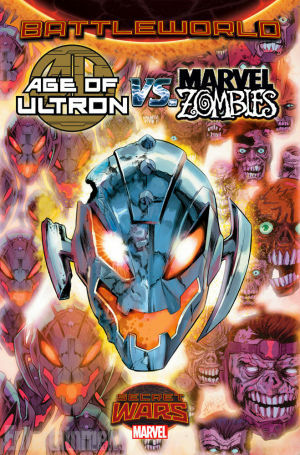 Under the Warzones banner this book stars Avengers and Fantastic Four foe, Arkon as he travels the tumultuous terrain of Battleworld facing every manner of adversary in the arena of combat. “He’s in a place he doesn’t understand, can’t explain and doesn’t know how he got there or know how long he’s been there.” Aaron went on to tell USA Today, “He’s really Weirworld’s first explorer, charting the strange world and making a map of it while trying to survive long enough to make it back home.” The idea for this story started with Aaron’s own childhood interest in fantasy comic books, such as Conan and Red Sonja, “I’ve always wanted to do my Conan story but, there’s not a lot of opportunities to do those stories in comics.” He said. Well that will bring us right up to the end of another uncanny installment of State of the Marvel Universe. Please be sure to check back in with us here at Bag and Bored next time when we will continue to explore all the tie-ins, crossovers and ongoing series in the gigantic Secret Wars event. 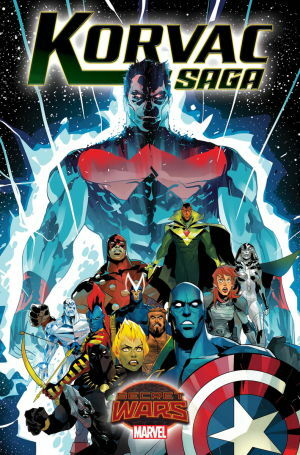 More books by your favorite Marvel Masters like Jason Aaron and Chris Sprouse on Thors, Brian Michael Bendis and Mark Bagley on Ultimate End, Charles Soule and John Timms on Attilan Rising and all the very latest, up to date titles announced by Marvel will be presented for your consideration True Believers. So follow me, B&B’s own Agent M, your guide through the apocalyptic events leading to Secret Wars as we draw ever closer to the incursion event and the end of the Marvel Universe as we know it, Excelsior! 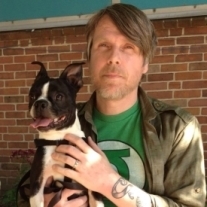 Shawn is an aspiring writer/ artist who has been reading, collecting and living comic books for over 30 years. He lives in Baltimore with his wife, their son, lots of cats, dogs and other various finned and furry friends. This entry was posted in Comic Book Reviews, comic books, marvel comics, secret wars, shawn warner and tagged comic book reviews, comic books, Marvel Universe, secret wars, shawn warner. Bookmark the permalink.